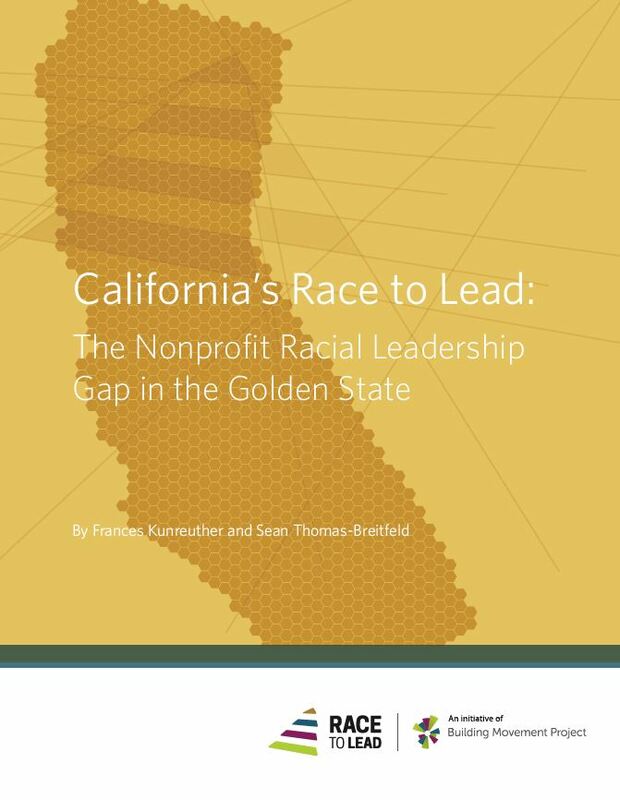 California’s demographics offer a glimpse of what the nonprofit workforce could look like across the country in a few decades. Survey respondents from California reported experiencing more supports and fewer barriers than People of Color in the other states. But the findings also show that progress can be slow. 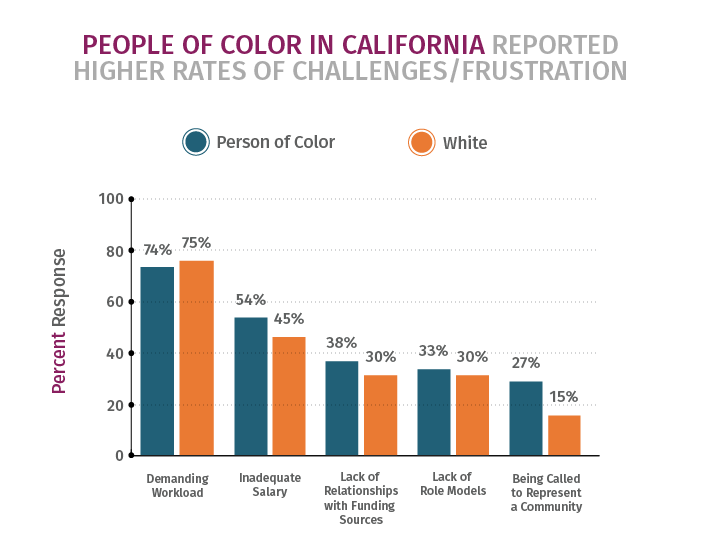 People of color in CA reported higher rates of challenges/frustrations in every area than white respondents from the state, even though the gap between the two groups was smaller than the national data overall. 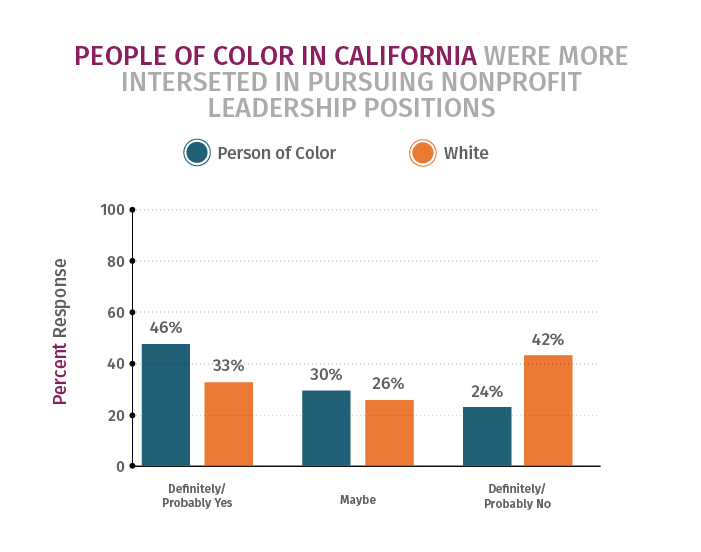 People of color respondents from CA were more interested in pursuing nonprofit leadership positions than their white counterparts. 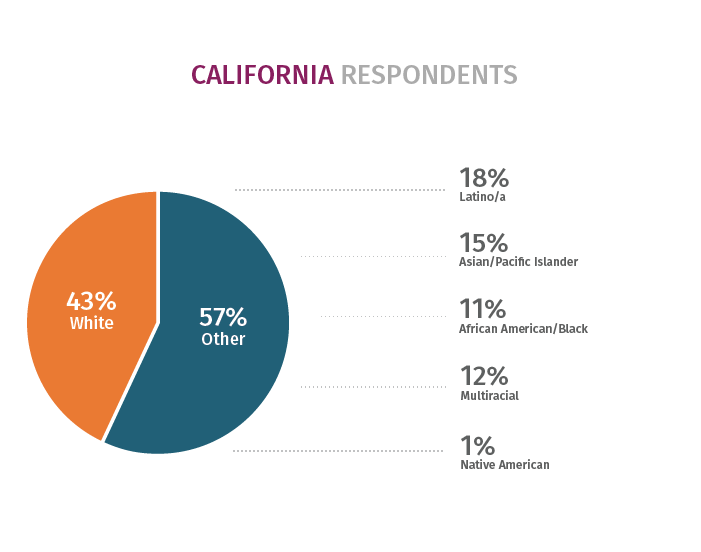 Who are the California respondents? Of the total respondents in the state, 57% identified as a person of color. 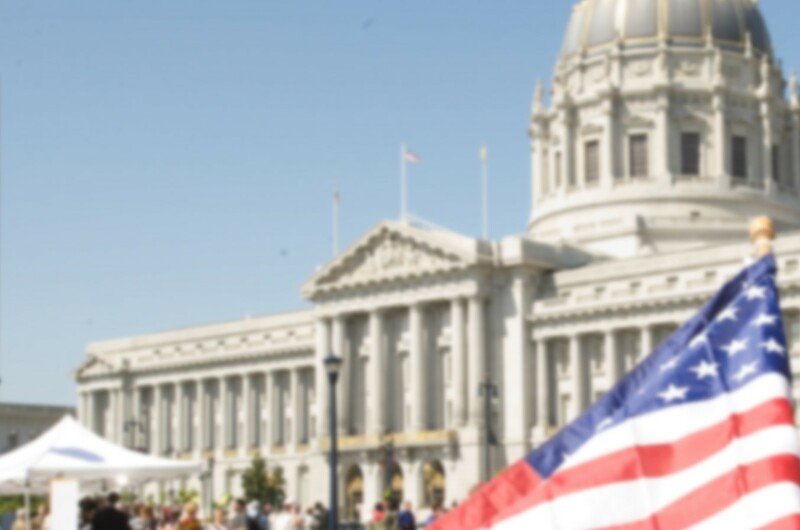 reported leading a POC-identity-based group, both in California and in all other states. Kunreuther, Frances and Sean Thomas-Breitfeld (2018). 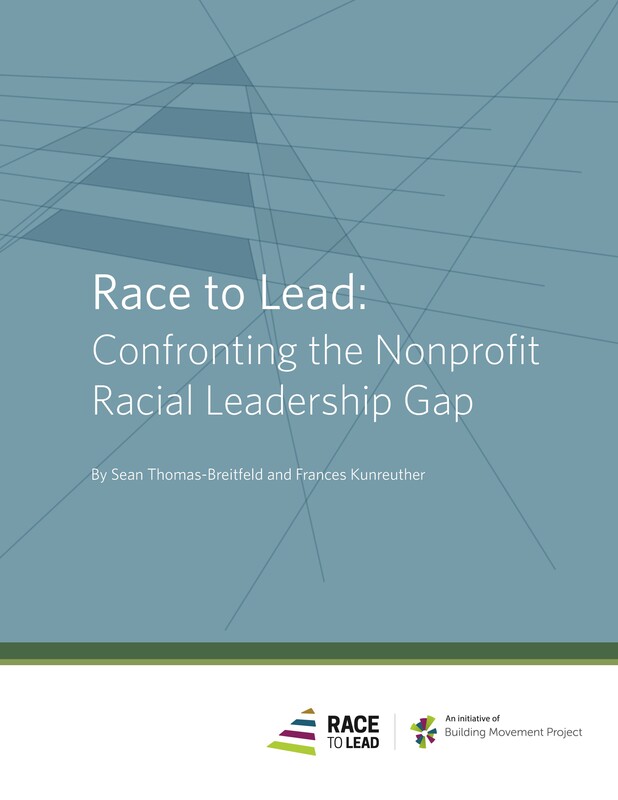 California’s Race to Lead: The Nonprofit Racial Leadership Gap in the Golden State.